This is a signature side dish of a popular noodle restaurant in Hong Kong, very well-known and loved by local people. Believe me, the taste of these Bandit chicken wings is wonderfully good. I have no clue how this dish name came up. The word of “bandit” might put some people off to try. The soul of this dish is the spice, cumin, that makes all the baked chicken wings smell pleasantly and take the whole dish up a notch. Cumin, a popular spice, is often used in my satay chicken too. That’s the recipe I got from a Malaysian friend a few years ago. 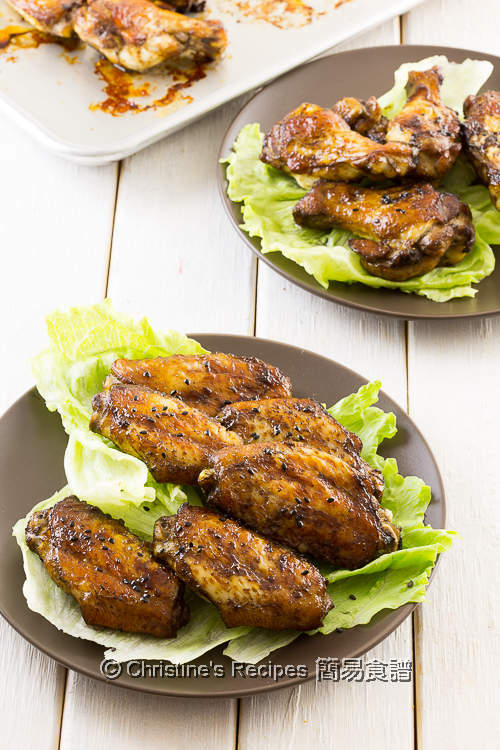 When it comes to making these bandit chicken wings, try to source the pure cumin spice, not the cumin seasonings out there, already mixed in some other ingredients. It’s a no-brainer dish. All you need to do is mixing and baking. 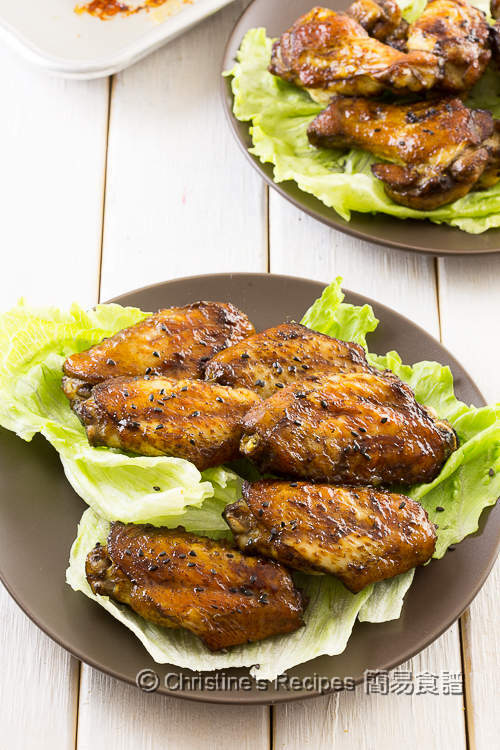 When you’re ready to make this dish, just pop the marinated chicken wings into your oven. There you go. Oh well, if you don’t want to use an oven for some reason, you can pan-fry them. The taste is equally good. It can be served as a main, side or finger-food in a party. Give it a go, and let me know how you like it. Rinse the chicken wings. Wipe dry with kitchen towels. Set aside. Combine all the ingredients of marinade. Mix with the chicken wings well. Set aside for 1 hour, or overnight for developing better flavours. Preheat oven to 200C / 390F. Lightly grease a baking pan. 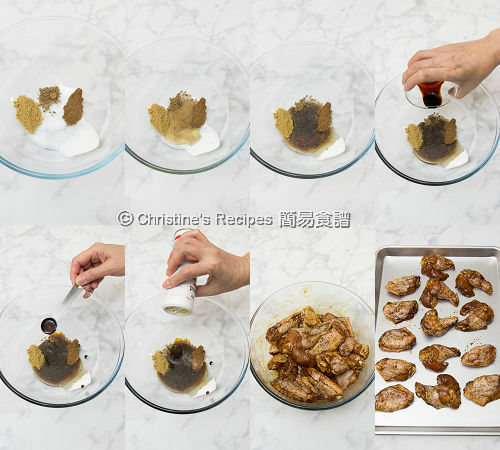 Transfer the chicken wings onto the greased pan in one single layer. Bake in the preheated oven for 10 minutes. Flip over to the other side. Continue to bake another 8 to 10 minutes, or until the chicken wings are cooked through. Sprinkle black sesame seeds for garnish. Serve immediately. The power of every oven is very different, thus adjust the cooking time accordingly depending on the thickness of the chicken meat. Cumin is available at supermarkets or Asian grocers. I love that marinade and have almost all the ingredients except soya sauce. Those chicken wings look fingerlickingly delicious, Christine. Oh, are you allergic to soya sauce, Angie? Hello! Is ground coriander the same as ground coriander seeds? I used coriander powder. But ground coriander seeds will do too.